If you are interested in the well-being of the Earth, and if you hold care for the planet and all of Creation as important expressions of your faith, you will be glad to know that we have a Green Team that is committed to this effort. Sermons at UCCNB often hold up the healing of the planet as a significant piece of being a people of faith. Our rain gardens promise beauty in the spring and summer, and conservation of water year round. Our appliances and new construction are installed with energy efficiency in mind, and members of our church are active with Interfaith Power and Light, an organization with resources for clergy and churches. 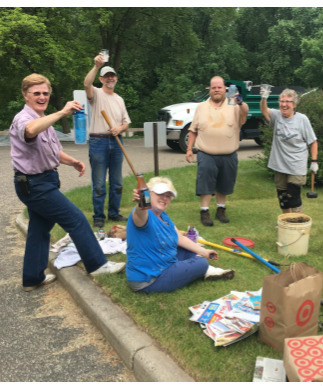 As a member church of the Minnesota Conference of the UCC, we strive each year to become more and more green, working toward the designation of being an "Earthwise Congregation." We are always also looking for more ways to reflect and express this concern, so if this is important to you, please come and join this conversation! You would be very welcome.